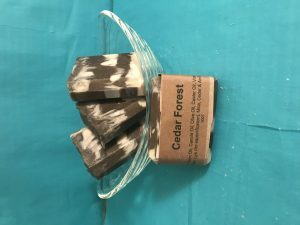 Short Product Description: The classic scent of Eucalyptus & Spearmint Essential oils makes up the fragrance of this all natural soap. It is also naturally colored with indigo powder & Chlorophyll. 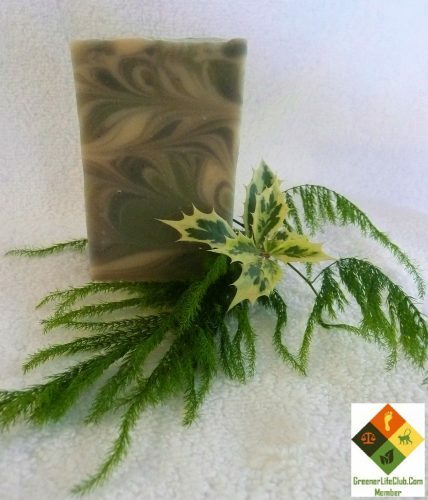 With the classic fragrance of eucalyptus & spearmint essential oils, this bar is all natural & cooling to the skin. Naturally colored with indigo powder, liquid chlorophyll & zinc oxide, the grayish green & grayish blue tones are reminiscent of a deep inter day. Bar weighs approx. 5.5 oz.